For the third edition of the International Newsletter, we are writing to you as DFB Cup Champions! After 30 years, the team had a superb 3-1 victory against 2017/2018 league winners, FC Bayern Munich. It is quite hard to top this result, however, we managed to solidify more major partnerships in key markets. 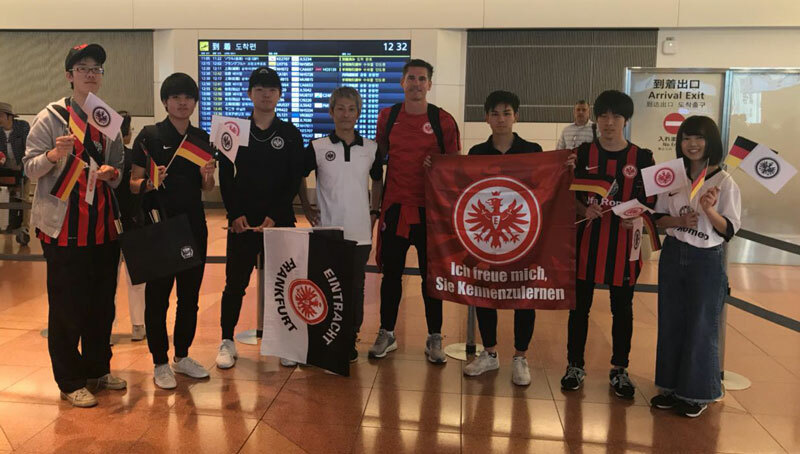 Transferring Eintracht values of German engineering of football was a major underpinning in the USA, as the establishment of Eintracht Frankfurt Michigan Academy came to fruition in May and coaching clinics were held in Tokyo and China. While the German National Team was still in the World Cup Tournament, the DFL organized three Public Viewing events for Eintracht and other Bundesliga teams in Beijing and Shanghai, where hundreds of fans participated in fun activities surrounding the matches. Again in the USA, a training camp and friendly matches against Real Salt Lake and Philadelphia Union with the professional 1st team made for a perfect reunion with some of our international and regional business partners and sponsors. For now, the beginning of new season starts with first Bundesliga game on August 25. Later in the Fall, we are looking forward to more projects and events with our international and regional partners, as we continue to expand abroad by building meaningful relationships through football, tradition and culture. Have a great start to the Bundesliga season and until next time! Nicolai Adam was in Tokyo, for a 3-day coaching clinic for sports and sports management students of the Tokyo College of Sports and Recreation (TSR), a college belonging to Eintracht Frankfurt partner, Jikei Group of Colleges. It included theoretical sessions at the university and practical sessions on the pitch regarding talent education and elite development on the basis of modern German engineering of football. 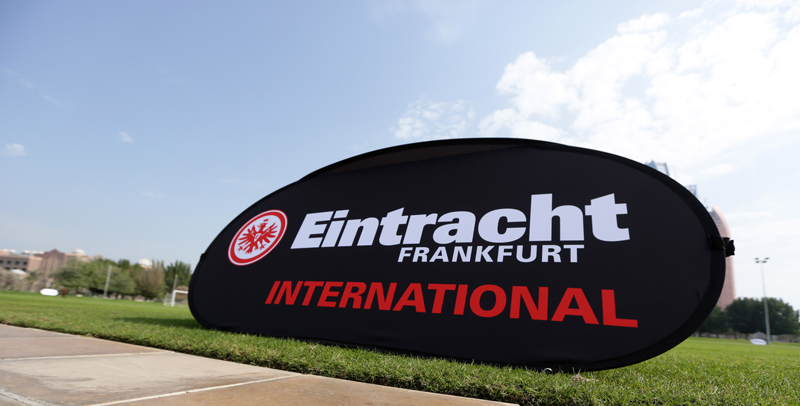 Eintracht Frankfurt expands its ‘Building Bridges’ concept with the establishment of Eintracht Frankfurt Michigan Academy, a football academy starting 2019 in partnership with Global Performance Academy (GPA). The goal is to combine world class education with world class training, including the German engineering of football. To kick off the partnership, from July 23 to August 3 GPA held camps at Total Sports Park in Rochester, Michigan. Over 50 kids were trained by Charly Körbel, an Eintracht Legend, Nicolai Adam, Eintracht Head of International Sports Projects and UEFA Pro License Coach, and Alex Strehmel, UEFA A License Coach and former Bundesliga pro. Last summer’s visit to the States had Eintracht take on the Seattle Sounders, San Jose Earthquakes and Columbus Crew, with a training camp in San Diego. This year’s trip across the Atlantic meant the return of the #SGEagles. The first stop of the eight-day training camp was a game against San Diego on July 10 with another match against the Philadelphia Union on July 14. Celebrating the Sister City Partnership of Frankfurt and Philadelphia, a business event was held a day before the friendly match. Dignitaries from Eintracht Frankfurt, Philadelphia Union, partners, sponsors and distinguished guests supported and honored the occasion with their presence. Bundesliga International hosted three fan festivals and public viewing events in Beijing and Shanghai with the support of Eintracht Frankfurt and other Bundesliga teams. Hundreds of fans came to cheer Germany on against Mexico, Sweden and South Korea in the World Cup 2018 qualifying rounds. Eintracht Frankfurt will offer coaching education at the elementary and university levels in the Hangzhou area, as well other provinces, in order to promote high quality football training and to develop trained Chinese football coaches within the region.